DutzWorks - Illustration and Graphic Design by Derrick Utz: Captain's Rant #3 - Kodi the Starfish Logo Debut!!!! Captain's Rant #3 - Kodi the Starfish Logo Debut!!!! Thank you for stopping by and look'n in on the The Captain's BLOG once again! 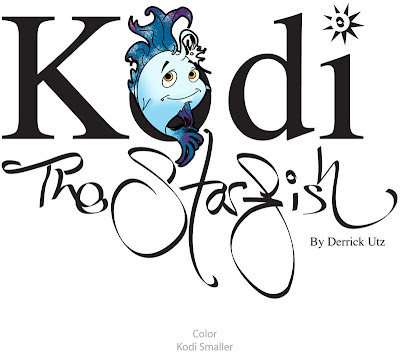 This is just a quick concept art update and logo debut for my first children's story; Kodi the Starfish! Above is almost completely finished story logo! Additionally, below is a sketch dump with concept art for for my 8-page anthology entry into the new book being produced out of www.illopond.com! This will cover a very touching story for the two main characters of the book, Kodi and his best friend Kadi. In a later post I will be sharing the synopsis of this little tale and discuss future ideas for the adventures of our new little friends. Please enjoy the art and post a comment if you would like. Thank you all so very much for your time and attention and I will see you at my next regular post on Nov 7th. It will be titled "The Anatomy of This Artist" and it will be an in-depth introduction to myself professionally with a little personal pros about what inspires me and what my creative goals are. P.S. - Thanks to the wonderful community over at Paper Wings Podcast, I have been informed of another awe inspiring artist out here in the digital sea. 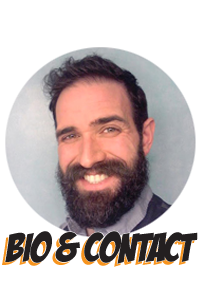 His name is Daniel Lieske and he is the creator and artist of a story called Wormworld Saga. I am in absolute love with his work. Very few times does another artist take my breath away like this but he has done so in droves. I pray that I can soak up and learn from the windows of brilliance he shares with us. You can find him at www.wormworldsaga.com.